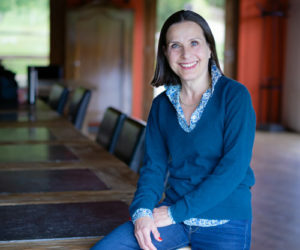 Karin Genton-L’Epée founded L’Epée Coaching & Consulting in the United States in 1988. After a decade of rapid growth in the US, she transferred her operations to the Czech Republic and launched Coaching4Success in 1998. As a professional business coach, in the past 20 years, Karin created and delivered targeted coaching and training programs aimed primarily at mid and top-level managers. Her focus is on developing leadership, cross-cultural understanding and effective communication in the global business environment. Beginning her training with qualifications in Neuro-Linguistic Programming (NLP) and Neuro-Associative Conditioning (NAC) techniques from Tony Robbins in the United States in 1989, Karin has committed to a program of ongoing professional development. In 2013 and 2014 she attended some of Paul Ekman’s courses, achieving her international certifications in Evaluating Truthfulness and Credibility and Emotional Skills and Competencies. And in August 2018 she attended The Level I and II training in horse assisted psychotherapy at the EAGALA, renowned American Association (Equine Assisted Growth and Learning Association) and is now an EAGALA Certified Professional. Today, Karin’s work draws on her extensive (and ongoing) studies, her in-depth management experience and her practical knowledge of international companies doing business in the Czech Republic, Europe, and the US. Her experience continues to prove invaluable in helping leaders, managers and individuals achieve lasting success, both professionally and personally. With her skills and range of experience, Karin has established herself as a favorite and regular speaker at venues including business conferences and educational institutions. She is also a frequent contributor to business newspapers and magazines. Karin works in both French and English and has, to date, worked with clients from over 40 nations around the world. Contact Karin at karin@coaching.cz.